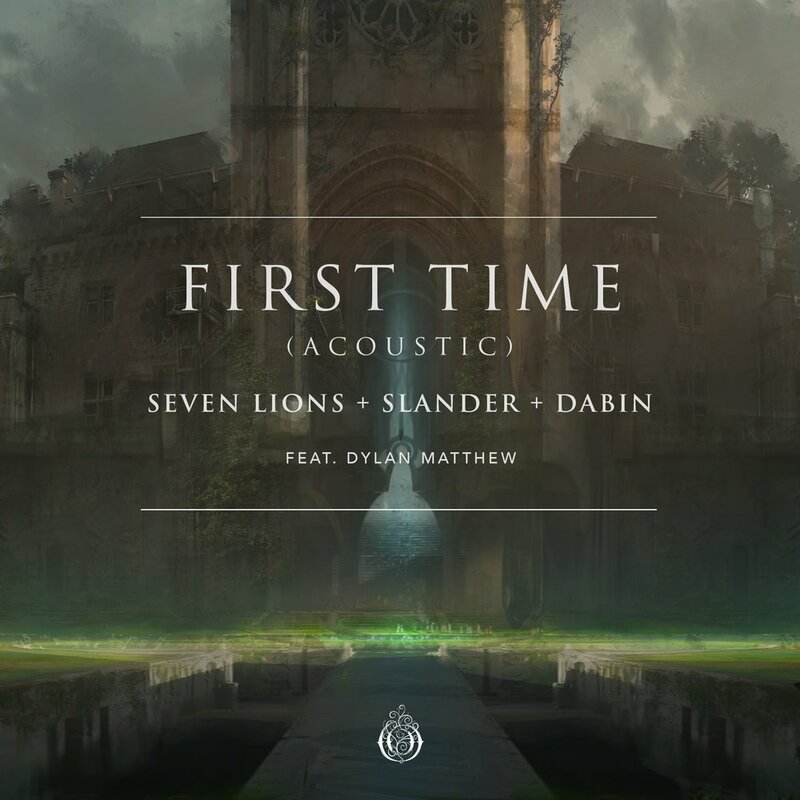 To end 2018, Seven Lions teamed up with SLANDER and Dabin to release their blissful single "First Time," on Seven Lions' imprint Ophelia Records. Now, Dylan Matthew, the vocalist on the original track, has stepped into the spotlight for the magical "First Time (Acoustic);" a re-interpretation of the track, which makes for a cathartic listening experience for fans. The acoustic version showcases his clear and vibrant vocals as it pairs perfectly with the light piano melody. Alongside the release of "First Time (acoustic)" comes a live-recorded music video, which spotlights the beauty of the vocals and piano of the stripped down track as Dylan plays it out live. Seven Lions made a strong entrance into the new year with his single "Island," a collaboration with Trivecta and Wooli featuring Nevve. 2019 is sure to be a massive one of the producer, be sure to catch Seven Lions at Insomniac's anticipated Beyond Wonderland festival on March 22, as well as a special set at Above & Beyond's Miami Music Week show at the RC Cola on March 28. SLANDER are known for their massive collaboration with NGHTMRE dubbed "Gud Vibrations" - a name that the producers have also used for their recently launched co-owned record label. The LA-based duo has recently released two notable tracks with vastly different sounds: "Kneel Before Me" with Crankdatfeaturing heavy metal band Asking Alexandria and "You Don't Even Know Me" with RIOT, which was a single on their The Headbanger's Ball EP. SLANDER is in the midst of headlining their "The Headbangers Ball" North American tour as well, which included two sold out dates at the esteemed Hollywood Palladium on January 11th and 12th. Check out the full tour and grab tickets here. Dabin is no stranger to working with Seven Lions, as he's previously released material on Ophelia Recordsand remixed the anthemic "Freesol". The Toronto native also just released a new single called "Altitude" with Fytch. Dabin has been working to incorporate live instruments into his shows and has performed live alongside Illenium and Said The Sky. Dylan Matthew has been previously featured on electronic classics such as "Alone" by ARMNHMR & Nolan van Lith as well as SLANDER and Kayzo's beloved track "Without You". As a 24 year old producer from Dallas, TX, Sangarang begins by entering remix competitions hosted by Wavo. 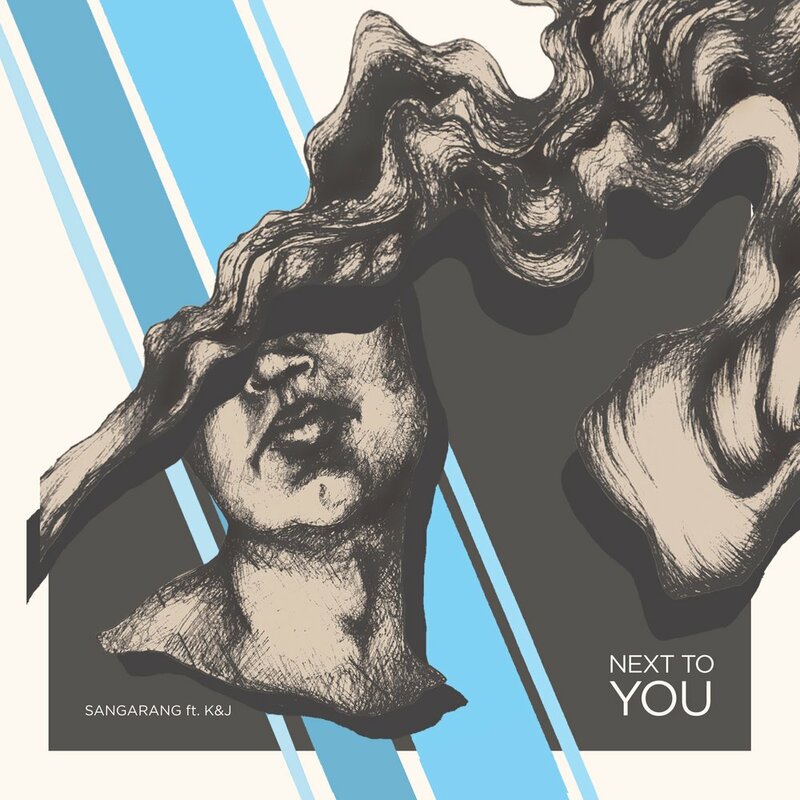 In July 2017, Sangarang releases his first single, "Young Enough" featuring a former colleague Benjamin Picache. Following up with a few more releases under his belt, Sangarang relocates to Los Angeles to dive deeper into the music industry in February 2018. Enrolled in Icon Collective, he plans on releasing his four track EP in the summer of 2018. Anthony Harm - "Rulers Of The World"
With Halloween quickly approaching, it is certainly the season for all things spooky in the music world and beyond. While NGHTMRE generally holds down an ominous aesthetic with his melodic-driven bass music, his newest release "The Killer" features his longtime friends and past roommates, Bret James & RNSOM, who take this track to the next level. The 3 artists co-produced the track together before Bret James blessed the instrumental with his menacing lyrics and haunting vocals, pleading "I’m not the killer," in such an anguished fashion that we’re almost convinced. "The Killer" quickly gears up with sinister basslines and goosebump-inducing, mechanical synths reminiscent of chainsaws. Like its namesake, this is one track that simply seems made for the apex of a horror movie. Given that NGHTMRE is in the midst of his "NGHTMRE Before Xmas" tour and will be making appearances at spooky fests this month - Voodoo, Escape, and Something Wicked, "The Killer" is bound to be in frequent circulation. The Los Angeles based producer has had a busy 2017 thus far, complementing several successful track releases with outstanding live performances. He recently released "On the Run" featuring PASSEPORT, teamed up with Ghastly for "End of the Night," put his own spin on Fat Joe's classic hit "Lean Back" as well remixed DJ Snake's recent "Here Comes the Night." NGHTMRE's packed tour schedule included Lollapalooza, Coachella, EDC Las Vegas, and his own Gud Vibrations Festival in SoCalwith SLANDER. In addition to dozens of US dates the "NGHTMRE Before Xmas" tour takes him to Bangkok, Tokyo, Las Vegas, Amsterdam and more this fall and winter, so check out the closest city to you and snag tickets while you can here . MaxiMani feat. Maline - "Longer Road"
Maximani is a 25-year-old Dixtro-producer - Dixtro is his own blend of Disco and Complextro with funky elements mixed with the EDM genre's more poppy and catchy melody world. In Maximani's future bass-funky soundscape lays an undertone of fervency which wants to transform into other genres but gets restrained by the slow bpm and stays within the penetrating power of pop music. When Maximani decided to start producing more music where he sings himself he ended up in a studio complex with ,amongst others, Albin Myers, Familjen and John Dahlbäck There, Maximani was asked by Aviciis manager to do a cover of one of his acts 'CAZZETTE' . This resulted in a track where Maximani did all the instruments solely with his mouth and fingers. Not long afterwards Maximani released "Drop This Beat" that entered the dance floor Spotify Digster lists and quickly got more than 200,000 spins. With a personal, emotional text about a lost love combined with a razor sharp beat that cuts through the heart' Maximani hope to take the next step in his career. Maline as a songwriter had successes in Asia with music that has been laying on the top charts for months with the Korean girlband Red Velvet, (the song ”Fool” on the album Russian Roulette). She’s been writing music for Lithuania and Moldova for their competitions before ESC and has also written music for swedish artists such as Rebecka Karlsson, (winner of Idol). Maline is currently focusing on new material for herself. Maline is an artist and a songwriter who’s originally from Borås, but is based in Stockholm, Sweden since a few years back. She started performing and writing songs at a young age. She grew up in a household where music surrounded her daily. Either it was her father playing blues on the piano, her sister Wiktoria wailing away to a new Whitney Houston song or Malin singing and playing new music in the living room. Music was always around her, and maybe that’s why she decided in a very young age that she wanted to be in the music industry. She signed her first contract with the label Songs of Sweden just a short time after she moved to Stockholm. Through them she got introduced to the industry and today she is singing and writing with some of the top producers in Sweden. In 2014, just when it seemed like Ivan would follow the footsteps of most modern pop stars with radio-friendly hits and overproduced music videos, he dropped, “Randorn”, an album that would redefine him as an artist and bridge the gap between the underground and the mainstream. The masterpiece featured an odd selection of unique tracks sounding anywhere from Aphex Twins to Kavinski passing through Pharrell Williams. Although it was initially received with mixed feelings, the record quickly topped the charts and had audiences dancing from the VIP areas of the high society to the basements of the underground. In 2016, Ivan started Masterskaya, an independent music label focused on bringing the exciting sound of Ukrainian underground to the main stage. Out of the blue, the 28 year old artist moved to Los Angeles to start recording his first English-language album, and quickly found himself inspired by the ocean breeze and palm trees. His US debut album is now on its way, and with feature a tight selection of tracks that, like Ivan, don’t follow the rules. Mia Valle & James Mercy - "Wildfire"
Wildfire, a playful and rebellious end-of-summer hit, is a perfect musical blend of two uniquely talented artists, Mia Vaile and James Mercy. Lyrically, Mia delivers a genius verse inspired by the idea of being true to yourself in the face of adversity. James Mercy perfectly compliments Mia with his unique blend of contagious melodies and inimitable deep 808 kicks. The track is as forward-thinking as one can find in today’s world of overly-repetitive sounds. Ivan Dorn - "Such A Bad Surprise"
CLICK HERE TO LISTEN TO "SUCH A BAD SURPRISE"
Ukraine's Ivan Dorn supplies your latest sonic addiction in the form of his latest single, 'Such a Bad Surprise.' Dorn's newest creation intertwines hip-hop, jazz, pop, and sounds of the Ukrainian underground to form a new, innovative breed of genre. The track begins with a jazz sample that slows and speeds underneath the chatter of studio conversations and musicians warming up on their instruments. The beat kicks in and the sample continues as a flourishing chordal structure, supporting Dorn's bars. Ivan Dorn's characteristic vocal virtuosity is the perfect counterpart to the vibrant, jangly jazz guitar and warm bass sound. The verses explore the pitfalls of modern relationships, and Dorn's desire for a place to hide from some frustrated and ubiquitous partner. 'Such a Bad Surprise' won't be leaving your head anytime soon, so it's best to prepare for the long haul. Two of Denmark’s most exciting recording artists Snavs and KING join forces on ‘End With You’, an uplifting pop record with genuine emotional heft. Dance pop duo CHIMES release their highly anticipated, Ninety Four EP via M:UK (Draper, Loop, REID) on 12th May. CHIMES is the collaboration between London-based duo, pop producer Jamie Draper and multi-genre songwriter/vocalist, Paul Aiden. With Draper’s love of dance and pop, and Aiden’s experience working within the genres of EDM, folk, rock, R&B and pop, CHIMES is perhaps an unpredictable match, but their natural creative chemistry and shared love of constructing credible, commercial songs with international appeal is what makes them so unique. Establishing a steady online presence, CHIMES has garnered regular support from BBC Introducing as well as being included in various key Spotify playlists. The Ninety Four EP comprises of previously released EP tracks, Wolves and Cold, that have drawn praise from the likes of CLASH, Kick Kick Snare, Dancing Astronaut and Going Solo, as well as new single Nite Swimming which features an addictive, melodic drum beat and spine tingling harmonies, creating an incredibly vivid image of floating amongst the stars in space. It is also a little tribute to the late Prince, who would often spell ‘Nite’ this way. Surprisingly, the Ninety Four EP is their first body of work released together, but they have certainly made a bold statement with this EP, showcasing their incredible ability to make infectious dance pop tunes with effervescent electronics and accessible lyrics. The duo formed in 2014, following speculative songwriting sessions. Since then, Draper and Aiden have been busy applying the skills acquired from working with global artists (Draper has written singles for Cheryl, Låpsley, Iggy Azalea, Rita Ora and Little Mix, and Aiden has appeared as a featured artist on top releases worldwide) into making the kind of songs that they are both passionate about. Live, CHIMES put on an energetic show, creating a special experience that involves maximum audience participation. Their last gig was a sold out headline show at The Old Blue Last in London, and they expect to make an even bigger splash this year, proving that CHIMES are well on their way as becoming one of the most promising artists of 2017. The official remix of my second single, “Love In The Dark (Mallow Remix)", is now live on Soundcloud and all digital stores! Treyy G & Klave combine on glorious single "So Weak"
21-year-old Swedish hotshot Klave who is no stranger to disco:wax. Proved he’s a force to be reckoned with. So Weak begins with tense guitar strums and a haunting reverb, with Joe Cardigan’s voice soon slicing through with its impassioned tone. A question-and-answer style back-and-forth with a far-off pitched up vocal cut signals the arrival of the kick, with the chorus breakdown a heavenly affair that leads us to the bright and breezy drops. This is an instrumental compilation mixtape of various producers from all around the world hand picked by LA On Lock staff to be featured. Listen Below & Enjoy! Hoxton based label ‘Perfect Havoc’ presents a brand-new release from Norwegian newcomer MODES with his debut original ‘Give You Love Featuring Julie Vo’. MODES (26) originally resides from the capital of Norway in Oslo and previously released a free download nu-disco remix of Oliver Heldens & Shaun Frank – Shades Of Grey which received positive feedback from the online Hype Machine world. Give You Love also features additional production added by Perfect Havoc’s very own Swedish star Tobtok, who adds his signature production sound, blended perfectly with MODES nu-disco melodies and beat, whilst Julie Vo, also from Oslo, Norway delivers her beautiful soft vocal tone over the funky record.